SuperForex is delighted to reward new clients by offering the opportunity to start trading with $50 bonus. Start your trading journey now! Boost your trading potential in the world’s best trading environment provided by SuperForex. To get the $50 Free No Deposit Bonus you need to follow a few simple steps: All New clients have the opportunity to trade with free trading funds, without having to make a deposit. Jump-start an exciting trading journey with SuperForex and explore our world-class services with the $50 Welcome Account. Withdrawal : In other words, to withdraw $50 you must have traded at least 50 lots. Step 1. Register a real Standard trading account : You can register a real trading account here. You can open an account in any currency (USD, EUR, RUB) to receive the bonus. Step 2. Account verification: The account verification procedure is fast and simple. Please verify all four aspects of your account – name, address, phone, and email. We will notify you within 48 hours if your account has been verified. Step 3. Apply for the No Deposit Bonus : After verifying your account, please choose the Bonus Program tab on the left menu in the Client’s Cabinet and select the No Deposit Bonus. Read the terms and conditions of the bonus to learn more about withdrawal and cancellation rules. At the bottom of the page click the “Get the No Deposit Bonus” button. Step 4. 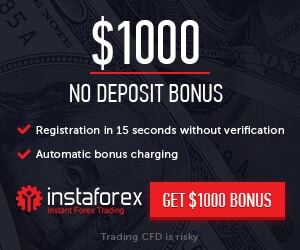 Get the No Deposit Bonus to your trading account : If you followed all the steps, the No Deposit bonus will be automatically credited to your verified account.